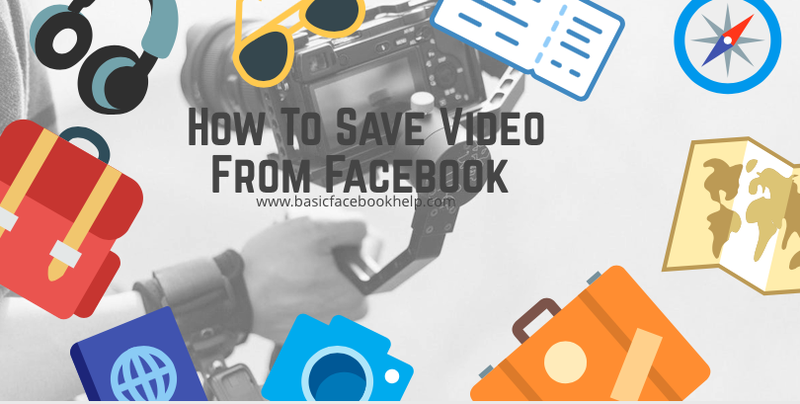 How To Save A Video On Facebook To Your Phone: Ensure you follow the steps stated in this guide strictly as we introduce you to some amazing applications that will help you download videos from Facebook. Google Chrome web browser is one of the best techniques you can use to save Facebook videos directly to your mobile device. We know that Chrome browser is a very powerful web browser with a lot of extensions to help us out, for most android users, Google Chrome Web browser is a pre-installed app but can also be downloaded from play store if not found pre-installed on your phone. Once you have the application installed on your device, you can now read ahead and carefully follow the steps that will be pointed out to you as we describe the best ways to use this powerful browser to download a Facebook video directly to your mobile phone. As soon as you discover the video in question, launch playback by tapping the Play icon button, once you tap on hit, hold your finger (long press) on the video screen. This will reveal the Chrome browser menu from which you can download the Facebook video. Once the download process is completed, you will see your file in the download folder of your Android device. Alternatively, you can use third party applications to download Facebook videos directly to your phone. So if the steps listed above for Android devices does not work for you, you have a lifeline with third party applications, kindly follow the steps below. Get Them All: This is one of the most popular applications for downloading videos from Facebook, it is available on both Android and iOS. The main function of this application is to simply allow you download any video online especially from Facebook and is readily available on the application store for both devices. once this application is installed, launch it and you will not need to log into the social media platforms. Video Saver: This is another fantastic application that allows users to easily save videos from Facebook. It is available only for iOS users particularly to allow iPhone or iPad owners download motion pictures easily from known social network platforms. Once this app has been downloaded from the App Store, the default store of Apple devices, follow the steps listed below to easily download your video. Note: To discover the URL of a Facebook video, tap the Share button when you discover the video you want to download and then tap copy Link from the menu that appears. From the application's main screen, tap the text field on top and paste the URL by clicking the Paste URL button. Once the processing is completed you will see the preview image of the clip as it will automatically appear in the center of the screen. Once the preview page loads, click the repost button to download the video from Facebook directly to your device's memory. The iOS request confirmation menu will pop up and you will be asked how you wish to proceed, here you have two options, you can decide to save the video to cloud by pushing the minimize File button, or download the video to your device's memory by pushing Save Video. Also from this request confirmation menu, you might be able to share the video via an immediate messaging application or upload it back to Facebook.